Vintage Tropi-Cal/Fong Brothers’ design by Danny Ho Fong, circa 1950’s. 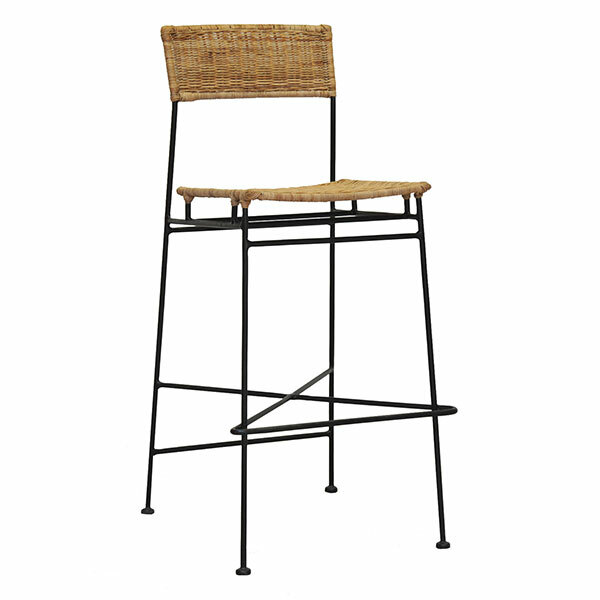 Wrought iron frame with woven wicker. The Great Dane barstool is a convergence of sleek Scandinavian modernism with the casual design movement of California during the midcentury.